April 2012 - Ideas & Items of Interest! GOT A MINUTE? GRAB A POEM! If you remember poems as those dreaded eight lines you had to memorize, or if the word poetry conjures up Middle English and obscure, convoluted phrasing, stop gritting your teeth long enough to browse through the lighthearted, effervescent, and palatable offerings on today’s poetry shelves. Fun, frivolity, rhythm, rhyme, and best of all, connections are in store for you and your students (not to mention imaginative, expansive, enlightening illustrations). Take a minute here and there throughout the day—every day—to spark the energy of your students with these word-wonderful mini-packages. Yep, that’s all you need: one minute or less once you have your favorites marked in the poetry books you shelve in a handy location. Browse the collections, choose your favorites, mark them according to subject, and then delight your students with poetry pauses. Pause throughout the day, week, month, and year when the children least expect it, when they’ve come to anticipate it, when they need one to get them back in the mood to learn, or for closure on a topic. And don’t forget those times when you need one to restore your own flagging vigor. Recite a gem and you’ll be snapping your fingers and tapping your toes in no time – in a minute or less, in fact.--excerpted from Children’s Book Corner, Grades 3-4; by Judy Bradbury; Libraries Unlimited. Celebrate national Poem In Your Pocket Day on Thursday, April 26. It’s an easy, educational, and fun project! At the beginning of National Poetry Month, encourage kids to search through poetry books and find a poem they love during and then carry it with them throughout the month to share with family, friends, and classmates, and the bus driver! Culminate with a classroom share on April 26. For more ideas and project suggestions, visit, http://www.poets.org/page.php/prmID/406. Visit the wildly fun interactive site celebrating Shel Silverstein found at http://www.shelsilverstein.com/html/home.html. It’s chock full of activities for kids and ideas for teachers and parents using his beloved poetry, including the newest release, Every Thing On It. Get ready for spring training with Poem Runs: Baseball Poems and Paintings by Douglas Florian. Check out former children’s poet laureate, Jack Prelutsky’s webcast and his step-by-step guide to writing and publishing poetry on Scholastic’s website at http://teacher.scholastic.com/poetry/. For “33 Ways to Celebrate Poetry” visit children’s poet, Kristine O’Connell George’s website: http://www.kristinegeorge.com/celebrate_poetry.html. Check out a host of poetry activities on the Reading Rockets website found at http://www.readingrockets.org/calendar/poetry/. 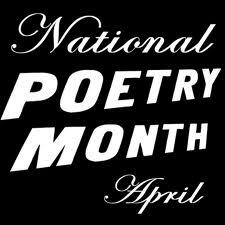 See also lesson plans offered by Education World at http://www.educationworld.com/a_special/poetrymonth.shtml. And finally, don’t miss the suggestions for celebrating National Poetry Month found at the expansive ReadWriteThink site, hosted in part by the International Reading Association: http://www.readwritethink.org/classroom-resources/calendar-activities/april-national-poetry-month-20478.html. And then when April is over, keep the momentum going—and “poetry pause” your way to June, and then into September! Not a Tech Geek? Here's Help! Technology in Education is a topic many of us in the teaching field wish we knew more about—and had more time to learn about. To that end, this month’s Professional Development segment on the NFRC website offers resources for teachers, librarians, and other faculty and staff to learn more about the never-static, always intriguing—and sometimes confounding—field of educational technology. Solutions in Action, recently highlighted in School Library Journal’s online newsletter “Extra Helping”, is a series of free online videos produced by NBC Learn, the educational branch of NBC News, and hosted by Rehema Ellis, Chief Education Correspondent of NBC News. Ellis conducts interviews with leaders in the field who are utilizing technology to enhance classroom learning experiences. These videos offer a convenient and efficient way for educators to learn more about innovative and successful uses of technology in education. Marc Ecko, founder of Sweat Equity Education, offers ideas for improving educational experiences through applied learning. Solutions in Action videos are available at no cost through Blackboard Inc. (see link above) and NBC Learn. For a thought-provoking article on using iPads in the classroom, read “Apples for Teacher: Can iPads Save Schools” found online here. For a complete listing of all of this year’s ALA winners, go to: http://ala.org/news/pr?id=9108. To read interviews with the winners of the Caldecott, Newbery and Printz Awards, go to: http://www.schoollibraryjournal.com/slj/newsletters/newsletterbucketextrahelping2/893427-477/a_chat_with_newbery_caldecott.html.csp. In keeping with the theme of character education explored at the 2012 NFRC Winter Brunch, this month we explore timely online resources available to educators. January 23-27, 2012 has been designated No Name-Calling Week, inspired by the young adult novel The Misfits written by James Howe, perhaps best-known for his famed Bunnicula series and Pinky and Rex books. To hear Howe discuss the power of words, click here. According to the dedicated website for No Name-Calling Week (http://www.nonamecallingweek.org), “The project seeks to focus national attention on the problem of name-calling in schools, and to provide students and educators with the tools and inspiration to launch an on-going dialogue about ways to eliminate name-calling in their communities.” Resource kits developed specifically for use in classrooms can be purchased through the site.  The classic picture book, Chrysanthemum, written and illustrated by Kevin Henkes, is an outstanding read-aloud for Grades K-2. A vocabulary guide and extension activities, including suggestions for dramatic play, can be accessed on the Anti-Defamation League (ADL) website located here.  For annotated lists arranged by grade level of children’s fiction that explores bullying, visit the ADL Anti-Bias Lesson Plan and Resources page here.  “Using Children’s Literature to Increase Empathy and Help Children Cope with Bullying” can be found here.  Andrew Clements’ early chapter book, Jake Drake, Teacher’s Pet, one in a series about a hapless but likeable third grade boy, is ideal for youngsters embarking on independent reading of chapter books. Its theme fits right in.  An 86-page guide entitled “Roots of Equality” developed by the Elementary Teachers’ Federation of Ontario, offers a variety of resources for educators of students in Grades 3-5, utilizing such children’s books as My Secret Bully and Just Kidding by Trudy Ludwig, and We Can Get Along by Lauren Murphy Payne. Download the guide here.  Laurie Halse Anderson, the upstate NY author of the National Book Award Finalist, Speak, reminisces about her struggles as a teen and reads an excerpt from her ground-breaking novel here. Resources to accompany the use of her novel with students can be found on Anderson’s website here.  Coretta Scott King Award-winning author, Sharon G. Flake discusses the inspiration for her widely acclaimed novel about a dark-skinned African-American teen, The Skin I’m In, and reads an excerpt here. Flake’s website (www.sharongflake.com) offers additional information on her multiple award-winning books for teens. A wide range of “acceptance” themed resources for all grade levels can be found on the vast and amazing IRA-sponsored website www.ReadWriteThink.org. Follow this link: http://www.readwritethink.org/classroom-resources/lesson-plans/moving-toward-acceptance-through-1138.html. For more general Character Education-themed plans offered on the site, browse the 150 links, or narrow the search by starting here. Information collated for the NFRC by Judy Bradbury. Want to Learn More about Common Core? Let’s Kick Confusion Out the Door! http://www.corestandards.org/ Home page for the NYS Common Core Standards. Note: Don’t skip the Appendixes which are chock-full of usable, pertinent information! Also, be aware that the NYS Common Core Standards go beyond the national standards, so keep this in mind when surfing sites. http://livebinders.com/play/play/79840 Mike Fisher’s amazingly comprehensive site. http://commoncore.pearsoned.com/index.cfm?locator=PS11Tb “Unlocking the Common Core”—free live webinars with leading experts sponsored by Pearson every Tuesday and Thursday September-November, 2011; one-hour in duration. http://educationnorthwest.org/resource/1547 Downloadable resource for parents to enlighten them on state standards. http://www.americaschoice.org/commoncorestandardsresources A collection of free video interviews developed to help teachers understand the CC standards, featuring Sally Hampton, Chair, ELA College and Career Readiness Standards Work Group; Member, ELA K-12 Common Core Standards Committee and Senior Fellow, America's Choice; and Phil Daro, Chair, Mathematics College and Career Readiness Standards Work Group; Writing Team, Mathematics K-12 Common Core Standards Committee, and Senior Fellow, America's Choice. http://sites.google.com/site/commoncoreinvermont/home A vast site dedicated to Common Core standards includes PowerPoint presentations, tools and resources, and helpful links. This list is by no means exhaustive, but is provided as a resource to help members learn about implementation of the Common Core Standards. The NFRC has no affiliation with any of the websites listed. Compiled by Judy Bradbury for the NFRC. End of Summer Got You Down? Enter the “How I Spend My Summer Vacation” Sweepstakes and Win Big! Go to www.slj.com/sourcebookssummersweepstakes for details on how to win books for the classroom, a trip to the annual AASL (American Association of School Librarians) Conference, and more! Deadline is September 21st, so act soon! Remember the delightful sisters, Susan Stevens Crummel and Janet Stevens, who spoke at our 2010 Fall Conference and regaled us with hilarious and touching stories of their collaboration over the years creating children’s books? Do you recall their upcoming book they told us about? Well, it’s out! The Little Red Pen written by Susan Stevens Crummel and illustrated by Janet Stevens is published by Houghton Mifflin and is described in this way: “Animated office supplies rally together to save the Little Red Pen from the dreaded ‘Pit of No Return’ in this hilarious tale of camaraderie.” Horn Book gave it a thumbs up: “A rollicking read-aloud, this is a book that begs to be turned into a class play, readers theater, or puppet show.” Booklist declares: “Will keep kids engaged, while both words and pictures create distinct, hilarious, highly animated characters from everyday objects.” Go to:http://www.youtube.com/watch?v=xlVSwfglD6g&feature=player_embedded to watch the video trailer andhttp://www.hmhbooks.com/kids/resources/LittleRedPen_activitykit.pdf for an activity kit to accompany this extra-fun read-aloud for ages 7-10. Working with Teens in September? Check out these links! If Banned Book Week (September. 21- October 1) catches the interest of your students, consider creating a YouTube video of your students reading a banned book! The American Library Association (ALA) has compiled a list of frequently challenged or banned books, ranging from Stephenie Meyer's blockbuster Twlight series to the classic Little Red Riding Hood. Go tohttp://www.schoollibraryjournal.com/slj/newsletters/newsletterbucketextrahelping2/891637-477/create_a_youtube_video_for.html.csp . Remember to check the NFRC website (www.thenfrc.org ) for more reading-related tidbits to help make reading and learning even more fun this school year! Register at http://www.hachettebookgroup.com/features/pattersonwebcast/index.html for a free live webinar with James Patterson about his book, Middle School: The Worst Years of My Life. The webinar will be featured on Thursday, October 13th from 1:15-2pm. What a great experience for your students! Follow the peach and help celebrate the 50th Anniversary of James and the Giant Peach. Visit Roald Dahl’s website at http://www.followthatpeach.com and explore the fun opportunities.